Toscanelli was born Heinrich Goldschmidt in Wurzburg, Lowever Franconia in Germany’s Bavaria region on July 19, 1914. He was the son of Josef Goldschmidt (from Wurzburg) and Hannchen nee Froehlich (from Unteraltertheim, Lower Franconia) and his siblings wer Leopold, Max, Recha, Moses, Lotte, Bernhard and Emanuel. 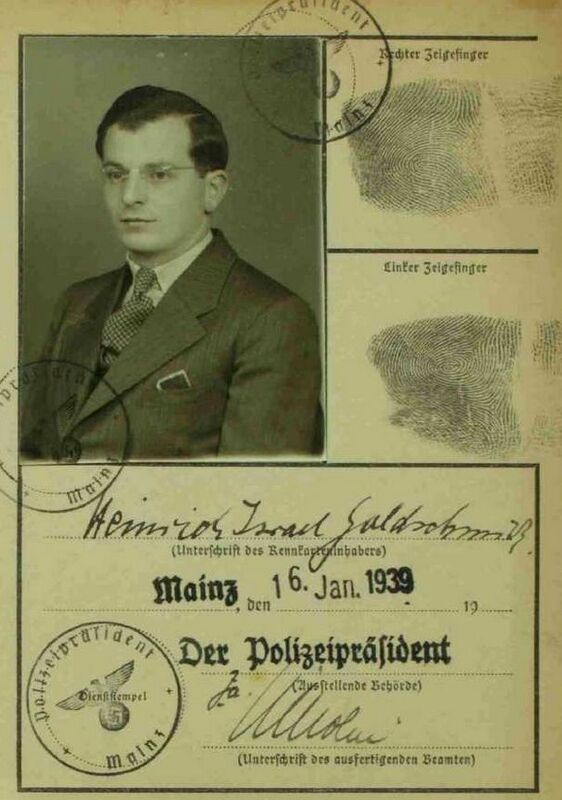 His grandparents, Isaak Leopold and Karoline nee Stern owned the only Jewish hotel in Wurzburg, the hotel “Goldschmidt.” Heinrich studied at the “Praeparandenschule” in Hoechberg. In 1927 he moved with his parents to Mainz, where they opened up a cafe and restaurant. 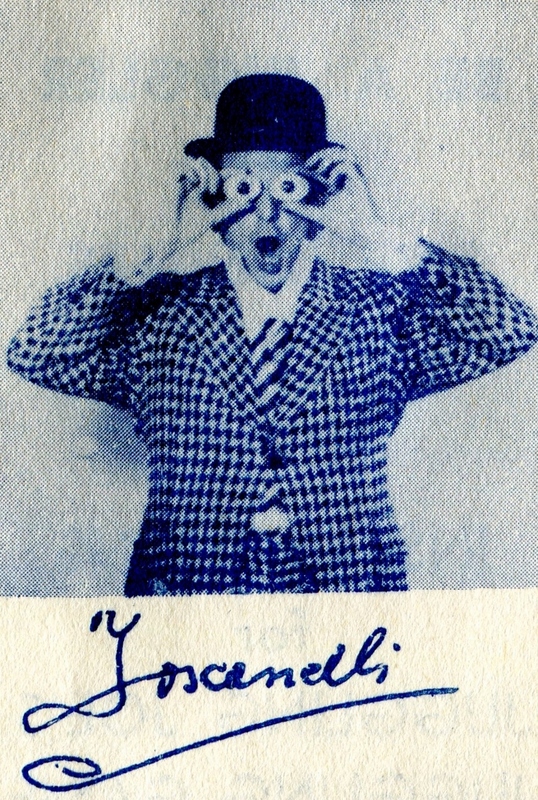 In 1938 Heinrich emigrated to England, where he learned to be juggler and changed his legal name to Henry Gaylord. He took the stage name of Toscanelli. Toscanelli advertised himself as “The International Juggling Star” and said that he was the 2nd best juggler in the world. This was obviously hyperbole, but Toscanelli was certainly talented. He performed in England, Canada, Ireland, and the USA. In 1949 he emigrated to the USA and lived in San Mateo, California. In the 1960s, he returned to Wurzburg for a short period to work for the USA Army. He married there and had three children. In the 1980s, he returned to California. He passed away in 2005. 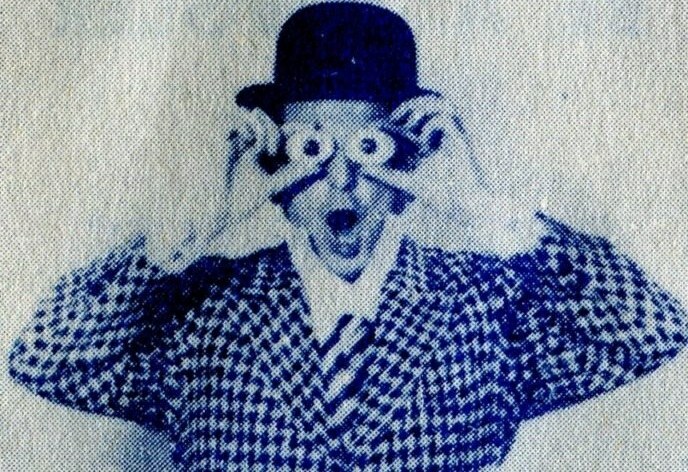 Below is a newly discovered film of Toscanelli performing his act sometime in the 1950s. Most notable are some modern looking contact juggling moves and head stalls with a ball as well as ball spinning with a small ball, similar to what Sean Blue does. 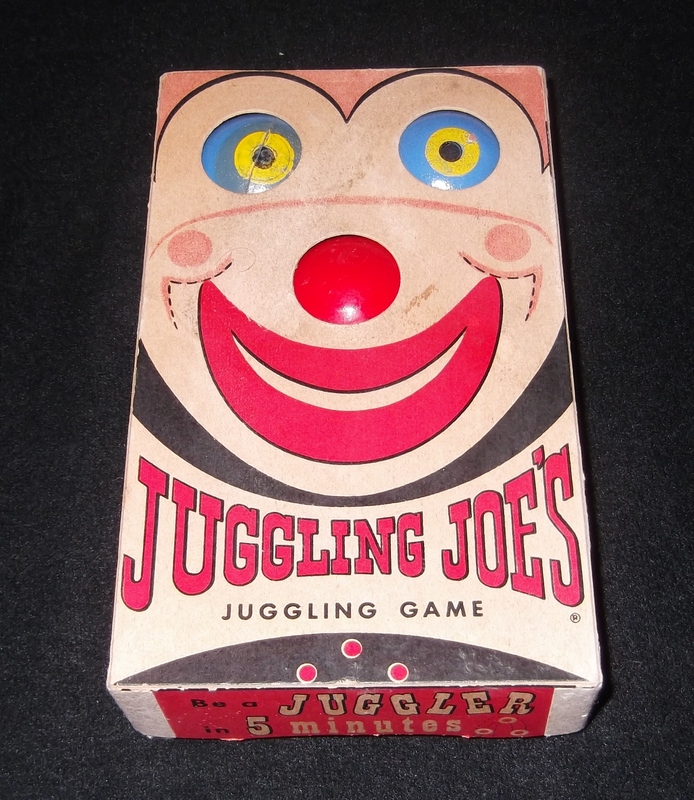 In 1960, Toscanelli released a juggling kit, “Juggling Joe’s Juggling Game.” As you can see in the picture below, the clown had cut outs where the eyes and nose were and the balls protruded slightly through these holes. The lid could supposedly also be used as a clown mask. Even though it is called a “game,” it is simply a set of three balls and instructions. The set pictured can be seen in the Museum of Juggling History.